It only takes one moment after stepping in Dr. Clarisa I. Smith’s Yavapai Pediatrics at 3001 Main Street #1C in the Prescott Valley Entertainment District to realize it is not a typical doctor’s office. From the colorful walls, chairs, tables and toys to Disney toons playing in the background, Smith’s Yavapai Pediatrics has one goal for her young patients’ visits- comfort. As a pediatrician, Smith takes care of children from the first few weeks of life all the way until their 18th birthday. In some cases with special needs children, patients are seen until their 21st birthday. Smith and her team focus on the growth and development of children along with specializing in illnesses and diseases that are particular to children. Smith graduated from medical school in 2004 from the University of Iowa and then finished her residency in pediatrics at the University of Arizona in 2007. Following her residency, Smith served in the Air Force and as a Pediatrician for four years. After her time with the Air Force, Smith decided she wanted to move closer to home as her brother and sisters all lived in Prescott Valley and really like the area. Knowing there was a need for pediatricians, Smith came to Prescott Valley. Later, Smith realized she really wanted something different in terms of a pediatric practice and yearned to do her own thing, be her own boss and be able to provide services for the community that she thought was critical. Smith and her husband thought about it, made some hard decisions and since they love the area so much, decided to open Yavapai Pediatrics in 2013. 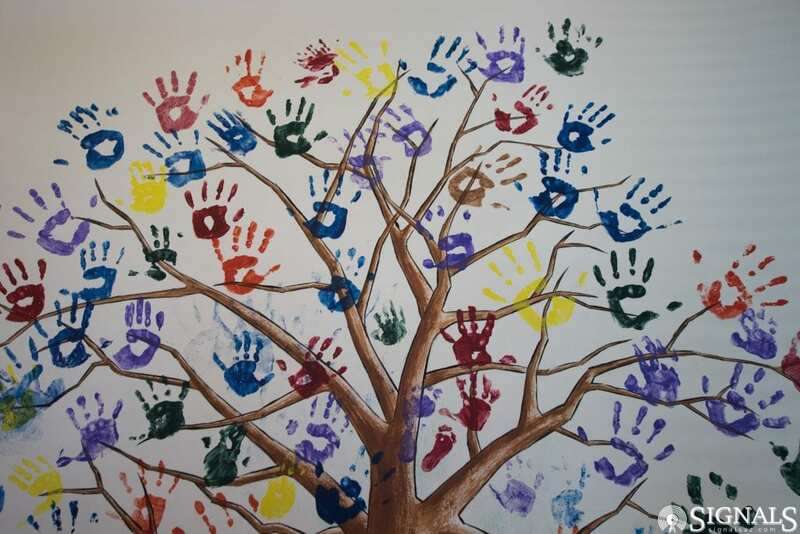 A tree of handprints from the first patients of Yavapai Pediatrics. At Yavapai Pediatrics, Smith said about half of her appointments are well-child visits. Smith said well-child visits are done about every two to six months until they’re 18 months old and then they go to yearly visits. An example Smith used was perhaps an eleven-year-old kid is not growing. Yavapai Pediatrics can evaluate the child and determine whether or not the reason is something abnormal like some kind of growth hormone deficiency or if they’re just going to go through puberty later in life. Smith does these evaluations and sees the patients on a regular basis to make sure everything is OK.
As the kids grow older, Smith also teaches them about healthy living lifestyles. In addition, Smith and her team clear kids for sports, make sure they’re seeing a dentist as well as the eye doctor. The other half of the visits to Yavapai Pediatrics are what we would be considered either same day sick visits or consult visits for chronic problems, according to Smith. During the winter, Smith said Yavapai Pediatrics deals with a lot of colds, cases of the flu and strep throat. The same day sick visits are a useful tool for parents as kids can be taken to Yavapai Pediatrics instead of an emergency room or urgent care. Smith said if parents see her first, she can tell them to bring the child back the next day to see how it’s progressing. The ER doesn’t have that luxury. In addition, Yavapai Pediatrics has an after-hours nurse that can give advice or call Smith- who’s always on call- to answer those questions. Alongside the physical wellbeing of a child, Smith also checks the psychological side of a child as well. Smith said parents bring their children in for behavioral problems or behavioral concerns, which include ADHD, anxiety or depression. In fact, Smith specializes in autism evaluations. She participated in a mini-fellowship for about a year with a Developmental Pediatrician, Dr. Robin Blitz, at Phoenix Children’s Hospital. Smith completed a program called Early Access to Care Arizona, which was developed to get kids evaluated and diagnosed sooner with autism so that they can get the services they need. Smith is the only one in Yavapai County that has that credential. Being in operation for five years, Smith has treated and watched countless children develop as they go on through their young lives. At a recent check-up, Smith saw one of her first patients who started with Yavapai Pediatrics as a baby. Smith says the child is now in Pre-K and is doing great. 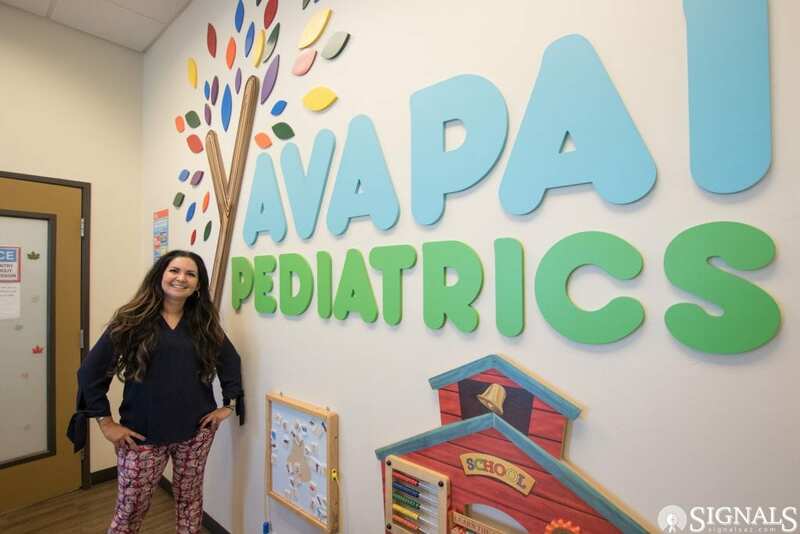 “We’ve grown with them and it’s so fun to watch them grow up,” Smith said, mentioning she has been in the area for over seven years and some of her previous patients came over to Yavapai Pediatrics. Smith chose the pediatric medical field because she really enjoys working with children. Smith also mentioned she likes to educate people and it is something she did well during residency, even receiving awards for resident education as a senior educating juniors. 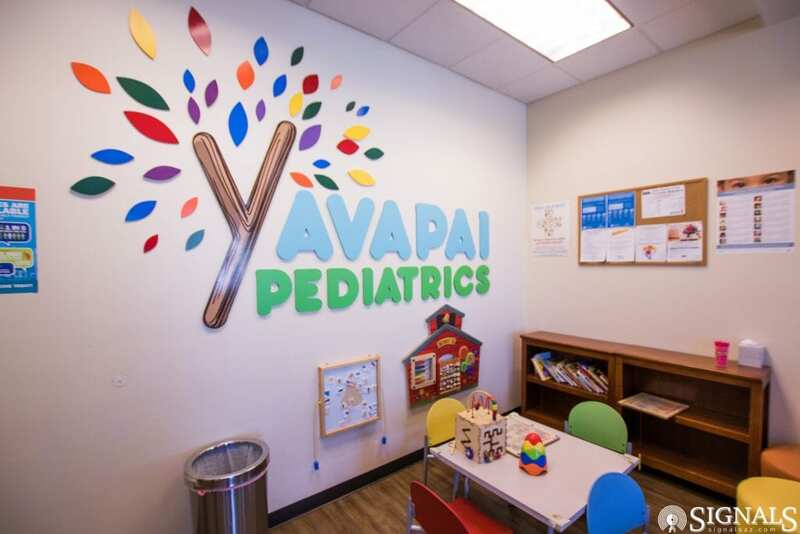 Coming up this winter, Smith said Yavapai Pediatrics is going to be expanding into the suite behind them. The expansion will house administrative offices in order to transform the current administrative offices into exam rooms. Smith said this will allow for more volume and patients. In addition, the hope is to bring on another provider to continue growing and serving the community the best they can. GET YOUR CHILD THEIR FLU SHOT! As September comes to an end, Smith reminds parents that children should receive their flu shot sooner rather than later. Dr. Smith and her team at Yavapai Pediatrics can be reached at (928)-458-5470. Their office at 3001 Main Street #1C in Prescott Valley is open Monday through Thursday from 8 am to 5 pm, Friday from 8 am – 4:30 pm and closed on Saturday and Sunday.